You know here at Cycledrag.com we are always on the look-out to find you the absolute best products and services. 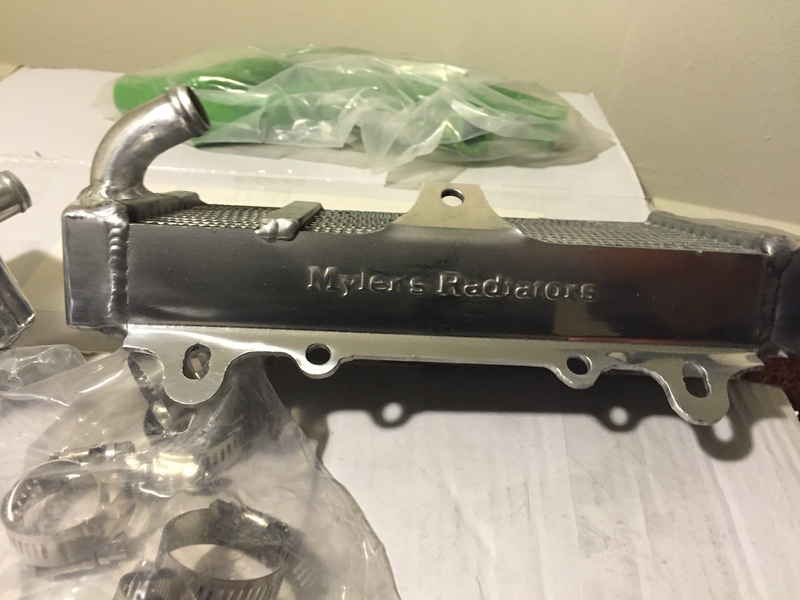 We found a truly awesome company, Myler’s Motorcycle and ATV Aluminum Radiators! The craftsmanship and attention to detail in these radiators is second to none. 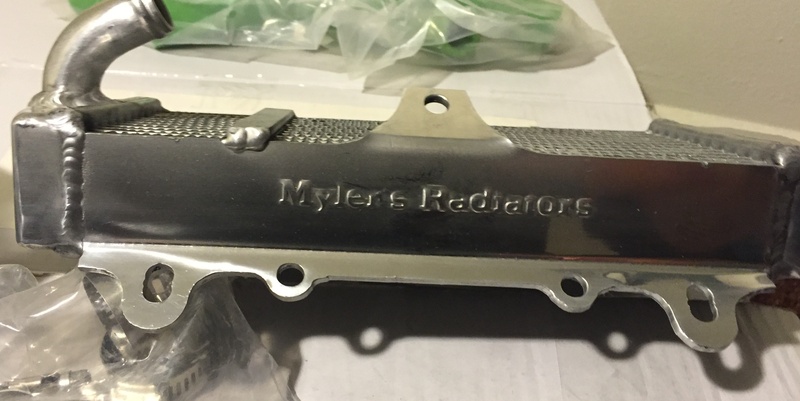 Myler’s aluminum radiators come with hoses (different colors available) and clamps. The price is unbeatable. We are excited to test this sweet rad on a KX 250 woods bike. On the tight trails the bike has a hard time staying cool. Myler’s is up for the challenge. 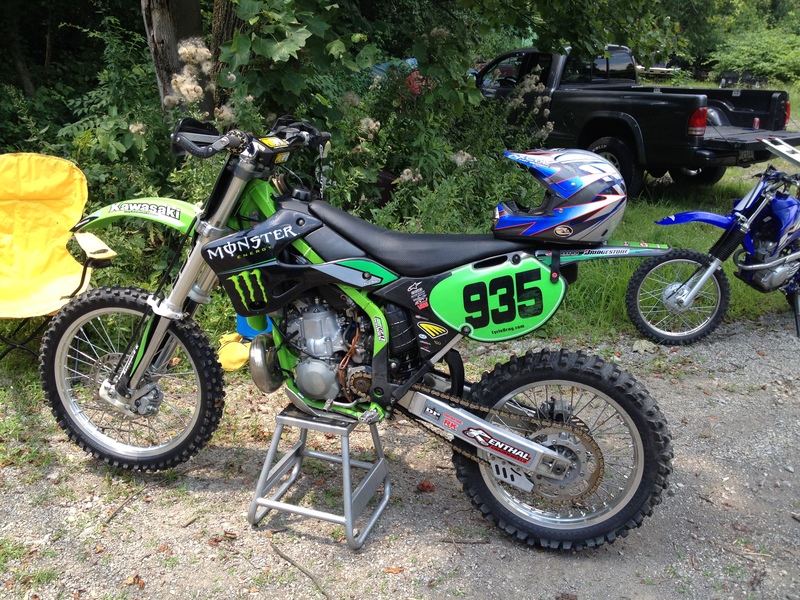 2002 KX 250 woods weapon. 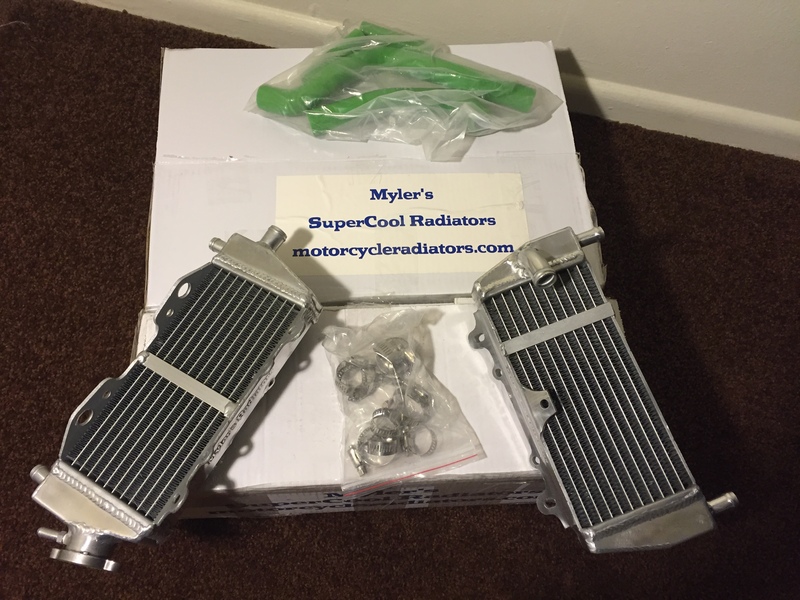 Make sure to check out the site www.motorcycleradiators.com and call Myler’s at 801-955-1421 and mention Cycledrag.com for specials.